Sanchit Jain, Mohit Jain, Ruchika Jain. Background: Over the years, many prognostic systems have been developed to stratify critical patients into different categories. Some are complex in their application whereas some are not specific for the disease condition. Mannheim peritonitis index (MPI) is one such prognostic system that helps us to estimate the probability of patient survival in cases of peritonitis. Objectives: To study the validity of MPI as a useful, simple, reproducible, and judicious tool in stratifying patients with peritonitis into high- and low-risk categories, and to assess the use of such classification in terms of patient survival and morbidity advantage in various categories. 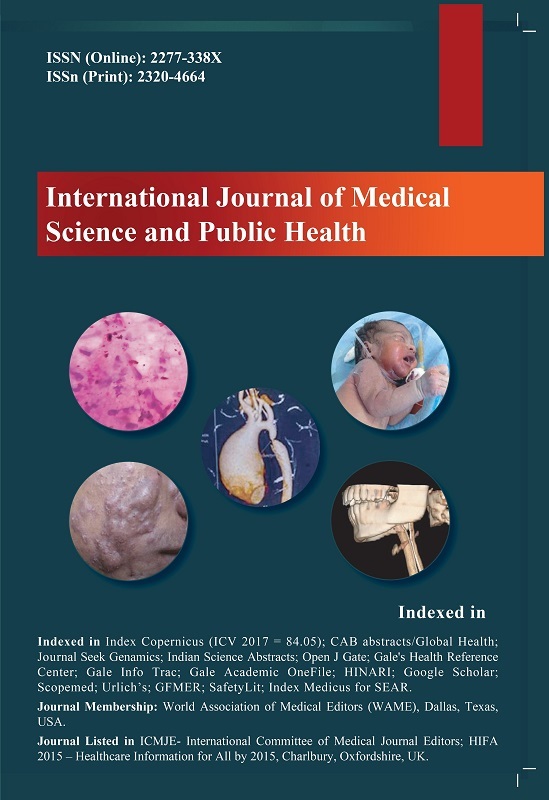 Materials and Methods: The study was conducted from January 2011 to November 2011 on 150 patients undergoing surgery for secondary peritonitis. Result: Of the 150 patients, 113 were male and 37 were female. On dividing the patients into two groups based on the MPI score (0–26 and >26), it was found that there was absence of deaths in patients with scores 0–26, and increased mortality and morbidity in those with score >26 confirmed the predicative value of MPI among patients with surgically diagnosed peritonitis. Conclusion: The MPI is a useful tool for assessing the prognosis of cases of peritonitis. It not only helps in assessing the mortality and morbidity of the patient but also helps to inform the patient’s attendant with greater perspective. Also, because of simplicity in its application, it can be very useful for developing and underdeveloped countries. 1. Maddaus MA, Ahrenholz D, Simmons RL. BiologÃ­a de la peritonitis. Surg Clin North Am 1988;2:471-85. 12. RodrÃ­guez-GojÃ³n GH, PÃ©rez-GarcÃ­a R, Poblano-Morales M, RodrÃ­guez-Brambilia V, Chavero-Garcia V. [Prognostic factors associated with mortality in patients with abdominal sepsis treated in the intensive care unit.] [Article in Spanish] Ciruj Cir 1999;67(6):205-7.